You can also still watch the first full-length trailer for Spielberg's The Post here, to see more footage. 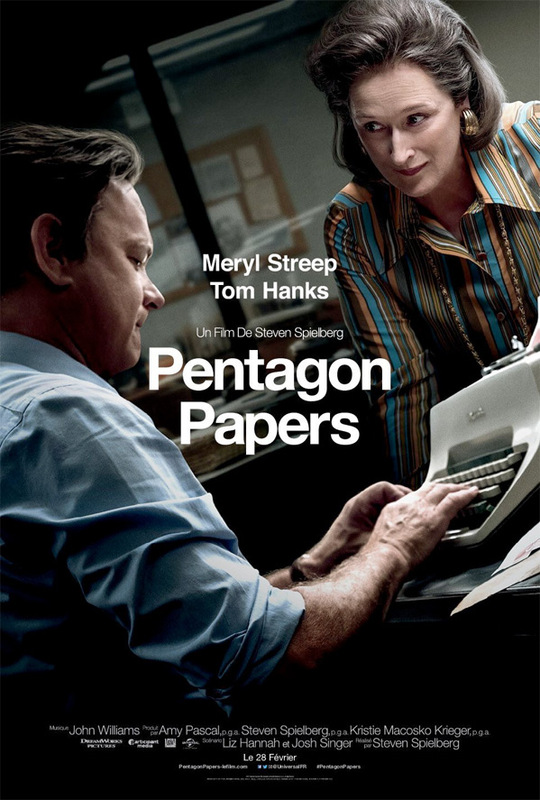 Steven Spielberg directs Meryl Streep and Tom Hanks in The Post, a thrilling drama about the unlikely partnership between The Washington Post's Katharine Graham (Streep), the first female publisher of a major American newspaper, and editor Ben Bradlee (Hanks), as they race to catch up with The New York Times to expose a massive cover-up of government secrets that spanned three decades and four U.S. Presidents. The two must overcome their differences as they risk their careers - and their very freedom - to help bring long-buried truths to light. The Post is directed by the one-and-only Steven Spielberg, of Jaws, Close Encounters of the Third Kind, the Indiana Jones movies, E.T., Empire of the Sun, Hook, the Jurassic Park movies, Schindler's List, Saving Private Ryan, A.I., Minority Report, War of the Worlds, Munich, War Horse, Lincoln, Bridge of Spies, and The BFG previously, plus Ready Player One next. The screenplay is written by Josh Singer and Liz Hannah. 20th Century Fox will release Spielberg's The Post in select theaters starting December 22nd this year, expands wider January 12th, 2018. Who's interested?